Ali, a 3-month-old German Shepard mix puppy, is recovering after being tossed from a moving vehicle. 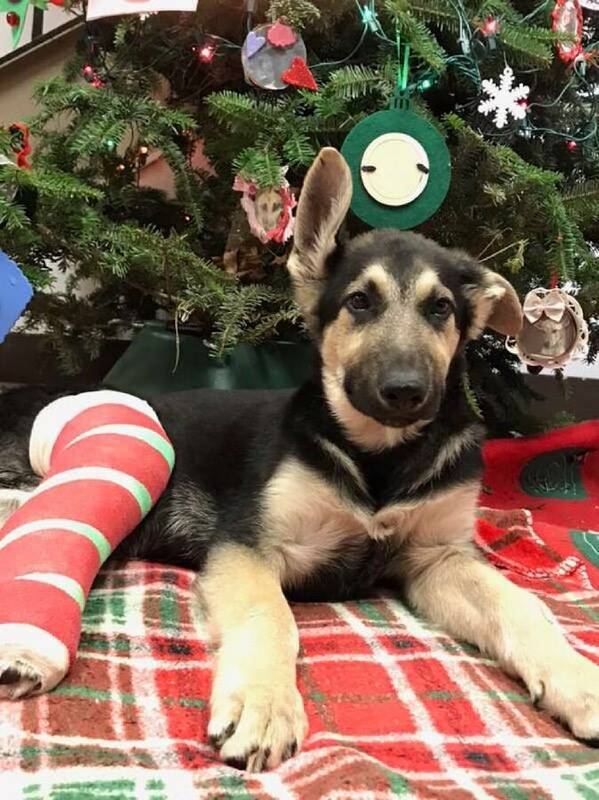 A 3-month-old German Shepard mix puppy is recovering after being tossed from a moving vehicle on Tuesday. The incident happened around 10:30 a.m. Tuesday at the intersection of Dayton Boulevard and West Midvale Avenue, according to a Facebook post from the Humane Educational Society. A witness who rescued the dog said it was thrown from a light-colored van. The puppy, who has been named Ali, fractured a leg in the fall. "Ali is lucky he did not sustain more severe injuries and that this kind individual stopped to help him and surrender him to the Humane Educational Society," the post reads. Humane Educational Society Animal Protection Officers are searching for the suspect. Anyone with tips is asked to call Humane Educational Society Animal Protection officers at 423-624-5302, ext. 247. In the meantime, the shelter said Ali is recovering and a foster family has been found for the little pup.